We were looking for something easy, where we wouldn’t be overwhelmed by activities and choices and “overdo it” like we ALWAYS do. This option seemed obvious since the islands have great weather in September, they are small with not a ton of stuff to do (but just enough to not get bored), and we could travel to two or three of them without having to worry about flights and pre-planning. A day on a catameran in Santorini. Our friends got us as a wedding gift an excursion on a catameran including lunch, bottomless booze and multiple stops around the island to jump in the water, see the hot springs, and “snorkel” (in quotes because of lack of living things to see in the Mediterranean). We booked through Spiridakos and don’t regret a second of it. my expectations. I don’t know why, but I pictured myself sitting pool side in a lounge chair and having drinks brought to me like it was Hawaii. 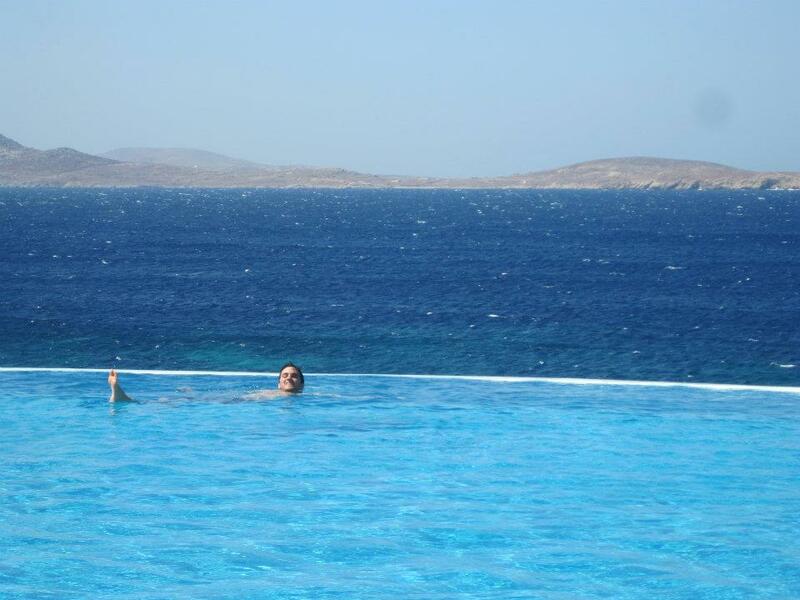 First off, legitimate sized pools can be found in Mykonos for a reasonably priced hotel, but on Santorini, the pools are the size of a glorified hot tub. There are also very few nice beaches. I realize I am spoiled from California, but the beaches were really not that awesome. So, if you are picturing white sand, large pools with lounge chairs and butlers, stop now. ** Go there for the amazing views, the beautiful towns, the feta, and the sunsets. Just enough. We booked our hotels, thought about transit between the islands, and read a travel book about what to do during the days on the plane ride. 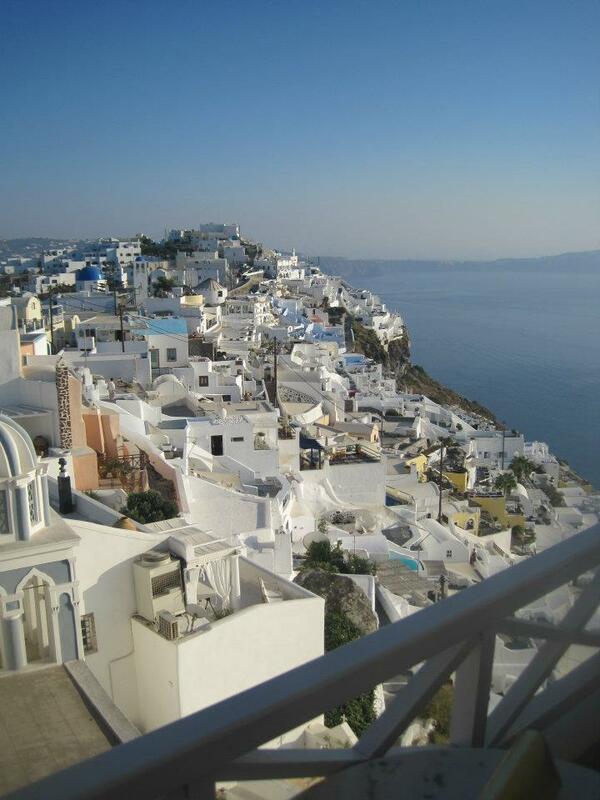 Oia in Santorini is ridiculously expensive. Our biggest splurge was just a hotel in Oia. 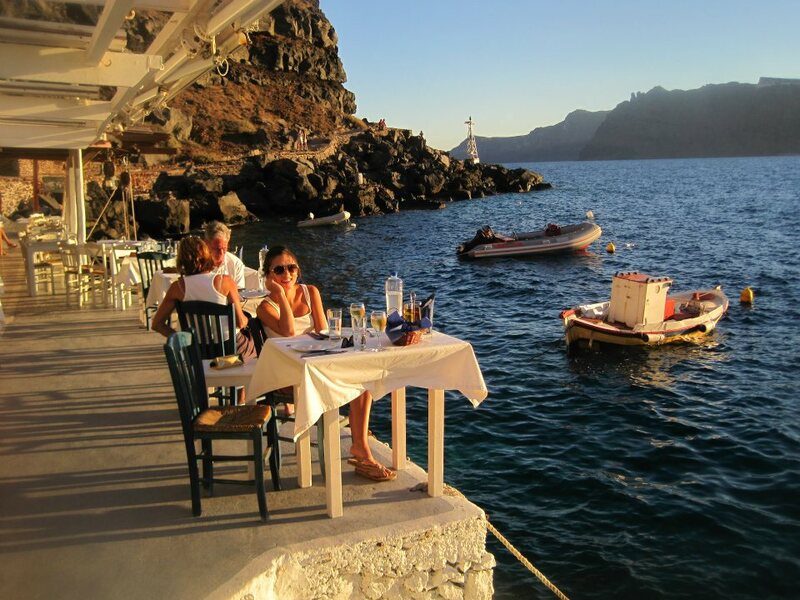 If you are on a budget, it may be best to stay in Santorini and do a day trip to Oia. It is a very small town and can definitely be seen in a day. **My two cents? It’s true – some islands’ beaches are much better than others. My personal favorite beaches were on Ios and Paros, not Santorini.